Dancing spirits in the sky or forewarning of doom. 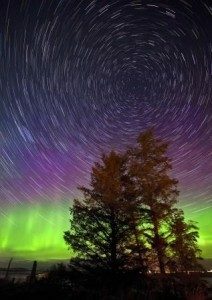 The aurora (lights) borealis (north) have fascinated, thrilled and frightened people through time. Of course science tells us that the aurora borealis is caused by ions emitted from the sun (solar wind) colliding with gases in the atmosphere to produce colours which can be seen in the northern regions but this makes them no less spectacular. In recent years the northern lights have become more ellusive as the solar cycle comes to a close. 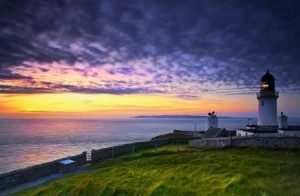 Due to their increasing rarity we do always advise that guest do not visit Caithness with the sole intention of seeing them and encourage people to also consider the numerous historic sites and beautiful scenic walks as part of their itinerary. You can never guarantee to see the Northern Lights but Alaska, Northern Canada, Iceland, and Northern Norway/Finland are your best bet. 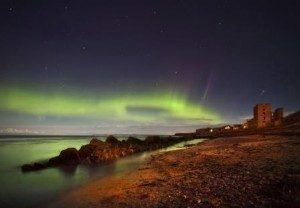 However Caithness is still the best place on mainland Britain to see the Northern Lights. We are the furthest north and we have excellent dark skies. 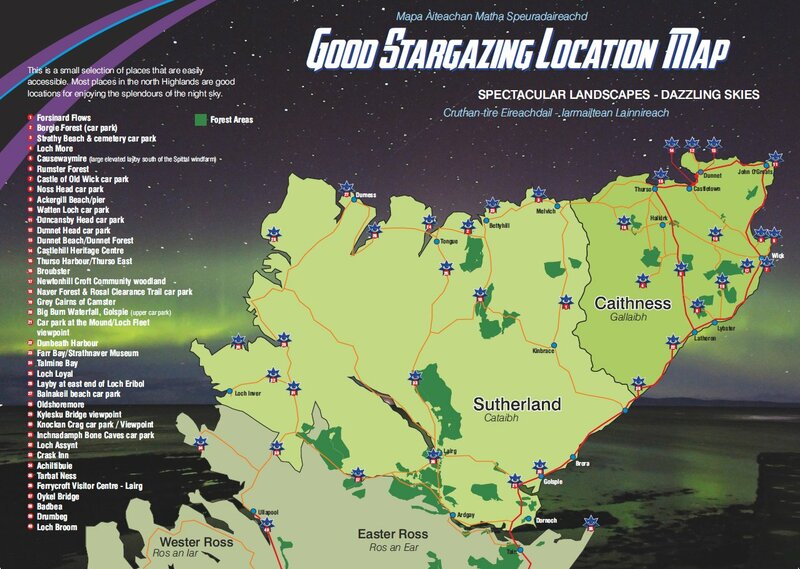 This downloadable leaflet suggests 40 dark sky locations across Caithness, Sutherland and Ross-shire and offers star gazing tips to view the skies. If you are interested in seeing the Northern Lights I suggest that you get someone to help you and have a good quality camera that can take long exposures. Our local Astronomy Group are very helpful, run a number of events and also give alerts. Scientific Explanation of Sun spots & Aurora. Free aurora alerts from Lancaster University. Excellent website for all things spaceweather related. There are a number of very good photographers in Caithness and I sometimes post good sightings on my Facebook page. Some of the timelapse videos created by local photographer Maciej Winiarczyk are superb. Comet and Aurora over Ackergill Tower. Pentland Lodge House has a telescope which you are welcome to use. We are happy to serve breakfast late and give you suggestions for places to go.